Verburg, G. 2015. From investment principles to action. GREAT insights Magazine, Volume 4, Issue 2. February/March 2015. Investing in agriculture remains the best opportunity to reduce hunger and malnutrition among the 1.5 to 2 billion people worldwide living in poverty. We need to change the way we think about investment in agriculture and food systems to ensure that it benefits those who need it most. 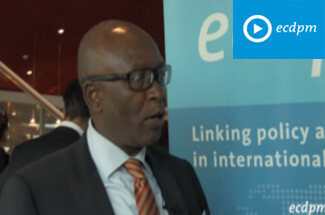 Food security has multiple dimensions – availability, access, utilisation and stability. Eradicating hunger requires policy action that addresses all four dimensions. Depending on the specific context, actions may be required to increase productivity, promote rural development and incomes, strengthen social protection mechanisms, improve infrastructure and invest in education and health. These multiple actions involve a variety of stakeholders who often have divergent views and goals. The challenge is to improve stakeholders’ coordination to enhance the effectiveness of actions to promote food security and nutrition. Such coordination requires an enabling environment that creates incentives for all stakeholders and allows them to participate in policy formulation and implementation. The Committee on World Food Security (CFS) promotes such an environment at the global level. 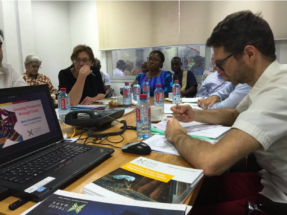 CFS is a multi-stakeholder committee which has often been referred to as a model for participatory policy development. 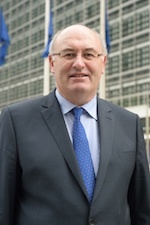 In this regard, CFS is unique in that its deliberations are the result of consultations and negotiations among all the various actors involved in addressing food insecurity: member countries of the United Nations, UN bodies, civil society organisations and their networks, international research networks, international financial institutions, private sector organisations, and philanthropic organisations. 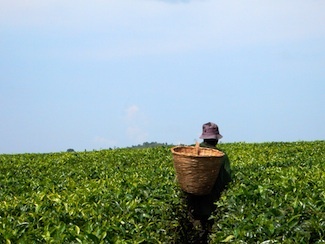 Following the endorsement of the Voluntary Guidelines on the Responsible Governance of Tenure of Land, Fisheries and Forests in the Context of National Food Security (VGGT) in 2012, CFS took up the challenge of developing a set of principles which would promote much needed investment in agriculture to feed a growing population while at the same time ensuring that such investment benefits those who need it most. The Principles for Responsible Investment in Agriculture and Food Systems, endorsed by CFS in October 2014, represent a major achievement in policy convergence for the whole international community. 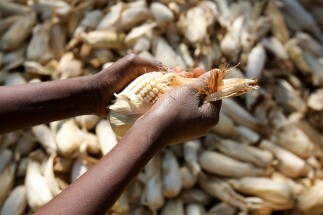 Following an inclusive two-year consultation and negotiation process, countries, civil society organisations and private sector associations have reached the first ever global agreement on how to ensure that food security and nutrition are put at the forefront of investments in agriculture and food systems. The Principles outline how investment in agriculture and food systems should address development challenges such as climate change, gender equality, health and welfare, youth engagement, and access to water, among others. The Principles address all types of investment in agriculture and food systems – public, private, large, small – and in both the production and processing spheres. They provide a framework that all stakeholders can use when developing national policies, programmes and regulatory frameworks, corporate social responsibility policies and programmes, and individual agreements or contracts. The Principles also outline the roles of all types of investors from states, to business enterprises, to smallholders, who – while dispersed – are in aggregate the world’s largest investors in primary agricultural production. So what’s next? What do the Principles mean for each stakeholder and how do we all work together to apply them and make a real difference in ensuring food security and nutrition on the ground? While the Principles provide the basis for moving forward together, the people responsible for translating global policy into action at the country level need to think through practical steps at all stages of food systems. For example, by moving away from the opinion that ‘investment’ means buying land, and instead thinking more broadly about investment in agricultural knowledge and technology which can play a transformative role in reducing poverty throughout food systems. Transforming agriculture and food systems means using less land and getting better results from the resources and inputs that stakeholders use. Changing the way we think about investment also means fostering gender equality and women’s empowerment. Despite the fact that women make up 43% of the agricultural labour force in developing countries, they also make up a large portion of the world’s poor with estimates as high as 70%. It is only by advancing women’s equal access to inputs and services such as land, credit, education, training, innovation, and new technologies that we will be able to break the cycle of poverty. Promoting youth’s engagement in agriculture is another important aspect addressed in the CFS Principles for Responsible Investment in Agriculture and Food Systems. Approximately 90% of young people live in developing countries where agriculture employs as much as 60% of the labour force. But the majority of youth do not currently see agriculture as a viable career path given the hard work, big risks and the low productivity and income rates faced by previous generations. How can stakeholders work together to harness advances in new technology and new employment areas to attract and enable youth to be drivers of change in improving agriculture and food systems? One key element to also contribute to sustainable development goals will be harnessing the market potential in agriculture and food systems to spread greater value through the supply chain. Consumers are demanding more responsible investment practices and want to be able to learn where and how food is produced, even willing to pay higher prices for products which meet these characteristics. Companies are starting to recognise that to succeed in the longer term, positive changes for rural communities must be part of the food system story. The estimated 500 million smallholders worldwide represent an opportunity for companies looking to diversify their portfolio of suppliers, and reduce the carbon footprint. This creates opportunities for smallholders to connect with local and global markets. Smallholders account for more than 95% of agricultural holdings and feed up to 80% of the population in Sub-Saharan Africa and Asia. Therefore addressing food security and nutrition means identifying partnerships for inclusive growth with smallholder- and family-farmers. There are many examples of successful partnerships addressing some of the areas stakeholders need to focus on to ensure that agricultural investment contributes to food security and nutrition, but there is more to do. 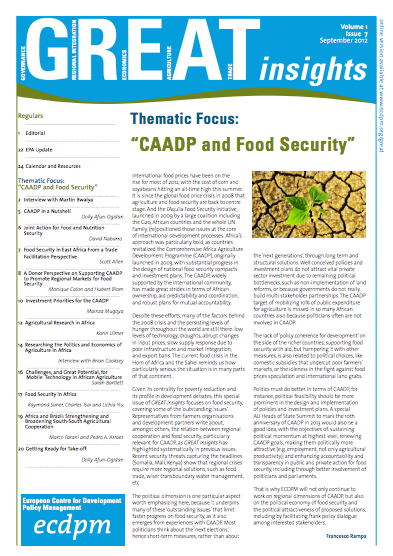 Regional organisations such as the Comprehensive Africa Agriculture Development Programme (CAADP) have a key role to play as they integrate the Principles into their own policies, frameworks with member states, programmes, research, outreach activities, technical assistance, and capacity building. Over one billion people are still living in extreme poverty, and at least two billion people suffer from malnutrition. The anticipated Sustainable Development Goals (SDGs) will face an annual investment deficit of US$2.5 trillion in developing countries. Full engagement from all sectors and actors is critical to scale up investment. The business case and the humanitarian case for investing in responsible agriculture and food systems is there; now result oriented action is needed on the ground, reached through multi-stakeholder cooperation. For more on the Principles for Responsible Investment in Agriculture and Food Systems see http://www.fao.org/fileadmin/templates/cfs/Docs1314/rai/CFS_Principles_Oct_2014_EN.pdf. 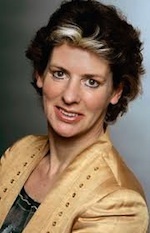 Gerda Verburg is the Chair of the Committee on World Food Security (CFS) and the Permanent Representative of the Kingdom of the Netherlands to the UN agencies in Rome. Between 2007 and 2010, she was the Dutch Minister of Agriculture, Nature and Food Quality.